When screenwriters labor to develop their movie scripts, conjuring “what if’s” and plot twists to fuel the story, it’s driven by a need to bring clever closure to the movie in under two hours. When writing a TV pilot script or pitch treatment, the story demands a whole spectrum of choices that must deliver longevity for the series. In our exciting landscape of binge-worthy TV series, think of it as taking your TV show idea and writing it as a 13 hour movie script with powerful and compelling plots, unlikely heroes, and ironic wrinkles in the story. When a TV Writer is creating and writing their pilot script, it’s not just what’s printed within those 30-50 pages that engages the reader and lands a deal. It begins with the power of the original idea for a TV series, and then fans out with every choice of character and story. From concept, to character, to clever twist…they all must drive the story to deliver longevity with escalating stakes, and a heightened reality within the world of your TV series. The most exciting aspect of that challenge is that a creator writing TV scripts faces expectations from today’s audiences that force them to make extraordinary choices for plot and character. We’re in a golden age for storytelling in television, with hit series of unparalleled quality we used to only see in theatrical films. Even more exciting is that unlike film where early storylines and plot develop slowly, in television we’re dropped into a series as if it were the second act of a film, with plot and plight often hitting the ground running, pulling viewers in who eagerly give a willing suspension of disbelief, binge watching the series to see what happens next so they’ll better understand the protagonist and their plight. Take advantage of this as as a creator. You’re not just punching out TV scripts that are easily digested, and seem to work, or that sound clever. Make bold choices in every aspect of your writing. Keep these 5 things in mind when writing your TV pilot script, or TV series idea. Each of these factors will fuel the other, as they’re all related, but you’ll want to be mindful of each. The first and most important element in the process is conception. 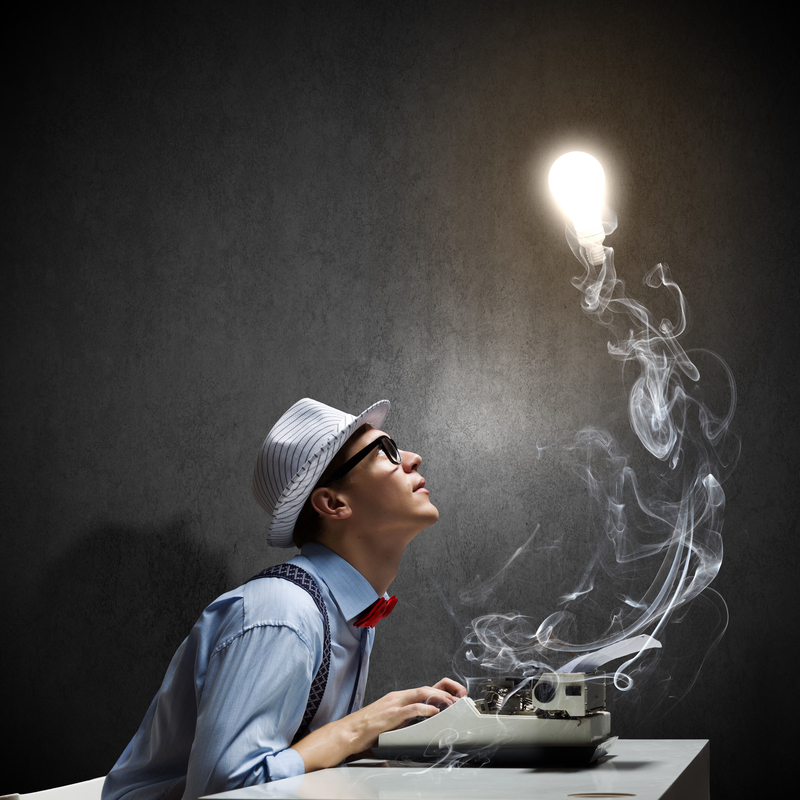 Creating that “Idea” that is the premise and plight for the main characters in your TV series. Choose the genre, subject, and world that hasn’t been explored yet, and establish the right components to create chemistry and conflict. Producers and viewers look for stories and worlds we haven’t seen before. Even within subjects we’re already familiar with, your core TV series idea must have some original hook that makes us want to experience that world and its characters. It’s all about the premise and plight. Look for social issues within the main character’s life that people can relate to today, but take it a step further by “flipping” the expected circumstances so the story and character’s have more dimension. Knowing how to pitch a TV show means knowing how your original core idea fuels all aspects of the series. When the premise and plight are highly original, the story writes itself to a large degree. Check out the TV Writers Vault article on creating Loglines that sell. The reason we love entertainment and story is because it helps us explore and witness the human condition. Great actors know how to make choices that bring characters to life. Their choice of reaction, behavior, clothing, props, movement, and all things unwritten are the choices they make to help communicate the person they’re playing. To every rhyme, there is a reason. As a screenwriter, the choices you make will bring your protagonist and story to life. Examine your characters as an actor would. Ask yourself what your character’s life experiences are that drive their choices and actions that ultimately drive the story. When you know the roots of your characters, you’ll have truth that fuels your choice of storyline and scenarios. Look for the contradiction in their behavior and create circumstances and scenes to fuel that. Find the flaw in the hero, and the redeeming qualities in the antagonist. Know what they want versus what they need. When you understand your characters you can make strong choices, and the tapestry of your TV series is woven tighter and becomes more brilliant when examined from all sides. As a screenwriter, the ability to write realistic and plausible scenes can easily lead to scenes and moments written that may be true to life, but are ultimately just boring filler. Viewers tune in because they want to experience a “heightened reality”, witnessing what is possible, instead of what is probable. Each of the other items mentioned feed right into this; The protagonist’s plight, the irony of their character, the core idea and premise for the series, and every choice of character and story you make. But the one thing to keep at the forefront of your mind when conceptualizing to fuel a heightened reality for story is the “imaginary what-if”; What if by unexpected circumstances the protagonist was forced to do something completely against their own moral fiber? What if the protagonist isn’t who you think they are? What if the villain becomes the unlikely hero? Look at the pivotal moments in your story and take them to the next level for a heightened reality. These are often the moments that define and reveal your characters. Check out the article “The 5 Fundamentals to Master Before Writing or Pitching Your Movie or TV Script” for more on creating strong characters and concepts. One might think that having a definitive end to a series planned ahead of time would inhibit the life of the series. And some may argue that the life of a series should be able to go on and on. I argue that when you have a specific resolution to the series in mind, then you’re able to make stronger, poetic choices within the earlier life of the series that will both drive that agenda and create a better set-up that leads to a more powerful conclusion. It doesn’t have to be black and white, but knowing where the main protagonist will end up, will help you make stronger choices with all other elements in your story that lead us through the series. Learn more about how to pitch a TV show, or comment here for direct discussion of this and other aspects of writing and pitching for TV today. Tagging this to read every time I start writing a script. Love it! Thank you so much for all your helpful instructions. I’ve been teaching myself all aspects of screenwriting for the past three years- I’ve learned by my mistakes, but it has been wonderful! I will take your advise- with great appreciation. Happy to have helped, Karen! Thanks for reading the article. Best of luck with your screenplays.